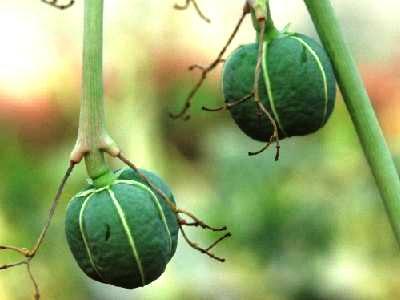 Large plant; diameter of the caudex is 25 centimetres. 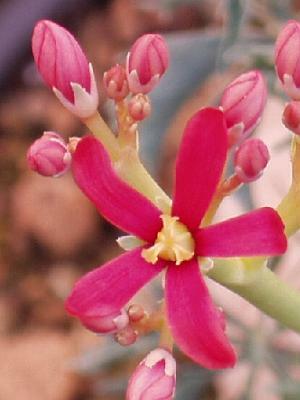 This member of the Euphorbiaceae was described by Manuel de Mier y Teran & Jean Louis Berlandier in 1832. It is from Texas and Mexico. 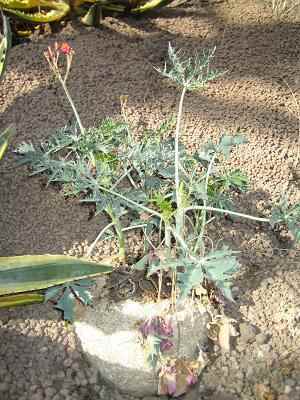 Give it a well-drained clay, very little water and lots of sun. 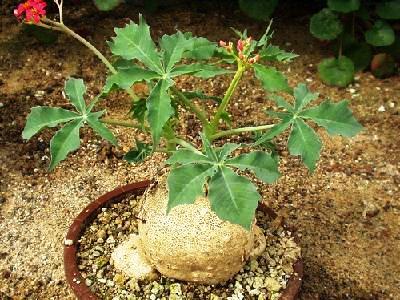 It seems like the caudex will grow up to 20 centimetres in diameter. The branches should only get 10 centimetres, but mine seems to get more than 35 centimetres. The flowers are pink to red. 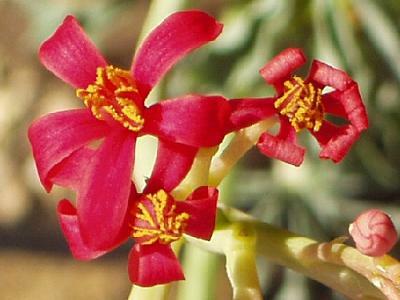 First, the centred female flowers will open, then the many surrounding male flowers. 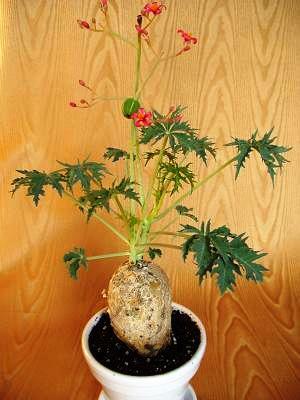 It can self fertilize. 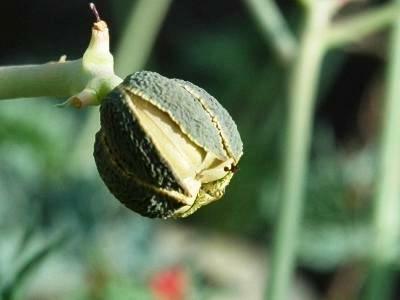 The seedpods will pop when ripen, throwing the two to six seeds several metres away. Can be sown right away. According to some books, it should only get 10 cm, but mine raises to 35 centimetres!